The Hay Alert website is available to help farmers impacted by Hurricane Florence secure winter hay supplies. Producers experiencing hay and pasture losses as a result of Hurricane Florence will find the Hay Alert website a useful tool in securing sufficient hay for their winter needs. This site was originally developed in response to the drought of 2007, and it was updated in 2016 during the Hurricane Matthew response. 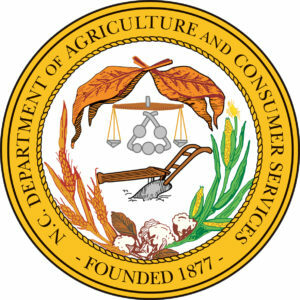 The website was developed and is managed by the N.C. Department of Agriculture and Consumer Services in collaboration with N.C. Cooperative Extension. The site can be accessed through a link on the NCDA&CS website or the Amazing Grazing website. The Hay Alert website is not designed to collect and exchange payment, but rather it is a tool that allows farmers to list hay for sale and hay needed, with the goal of helping those with supply to connect with those in need. Other useful parts including a transportation section, “share the load” section, emergency equipment and services ads, and other information, all of which make this tool very useful for producers and their advisors to make sure their winter hay and feed needs are met. Producers that lost hay or pasture in Florence should assess their hay needs now. If losses were due to inundation with flood waters, then producers need to make the first step of submitting a notice of loss to their local FSA office within 30 days after the loss. That date is October 15, 2018, so don’t let it sneak up on you if you have losses due to flooding to report. If you have difficulty getting to the county office, this notice of loss can be submitted by making a phone call or sending an e-mail to the county FSA office. More information on available disaster programs from FSA and advice for farmers experiencing hay, pasture and grazing livestock losses can be found on the Extension Disaster website. Hay that was not flooded but that was stored outside and exposed to a lot of rain will in most cases not be a total loss. Pasture that was flooded might be a complete loss depending on the species and the time it was underwater. In a phone report on October 3, a producer in Pender County observed that in his area all fescue pastures that were underwater more than 2 days were dead, but bahiagrass and bermudagrass pastures with similar flooding were green and growing after the waters receded. He is planning on overseeding these areas with oats and crimson clover, and then planning on planting back with bahiagrass. In the next few weeks any pastures that were severely impacted need to be assessed and overseeded with winter annuals so grazing is available by early spring. More detail about hay and pasture management following the flood can be found at the Amazing Grazing homepage. If you are unsure how to calculate your hay needs N.C. 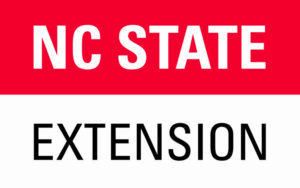 Cooperative Extension Agents at our N.C. Cooperative Extension County Centers across the state can help you with that. If you are in a hay deficit you can put a “hay wanted” ad on the Hay Alert Website, and can also look through the “hay for sale” section to see what is available in your area. We will be monitoring the Hay Alert ads and will help when necessary, but the site is intended to be a farmer to farmer system. Likewise, if you have hay you would like to sell or donate you can list an ad in the hay for sale section. If you would like to assist farmers in need with donated hay or assistance by transporting hay to the affected areas, this site would be a good place to identify farmers who could use the help. You can watch this fall as farmers post their needs on the Hay Alert website and then reach out to those farmers directly to see how you might be of assistance. This is also a location you can place an ad if you wish to go help farmers with cleanup, fence repair, and other recovery activities. When you place an ad on Hay Alert there are options for “baled hay for sale,” “baled hay needed,” “standing hay for sale,” or “standing hay needed.” If you have experienced losses due to the storm using the text box in the ad to describe your need, as we will advise people with hay to donate to look at the site and find folks in need. One problem we have experienced in past emergency responses is the difficulty finding transportation for hay shipments. The transportation section gives contact information for transportation companies that are willing and ready to haul hay. If you don’t need a whole truckload of hay you can use the “share a load” ad to try to find other producers to split a load with you. Keep in mind there is a lot of hay and other alternative sources of feed for livestock in the state that was not damaged by Florence. The Hay Alert website is an important starting point for you as you plan your winter hay needs. Take a look at that and contact your County N.C. Cooperative Extension office or another advisor to get help.